CASTLE KICKSTARTER IS A GO!!!! The Castle Kickstarter got an early start today (who knew continue meant publish??) We were nervous as to how it was going to go, but OMG we’ve already met and surpassed our goal! Now we’re hitting stretch goals!! Categories: Kick Starter, New Products, News | Tags: castle, castle kickstarter, kickstarter, stretchgoals | Permalink. 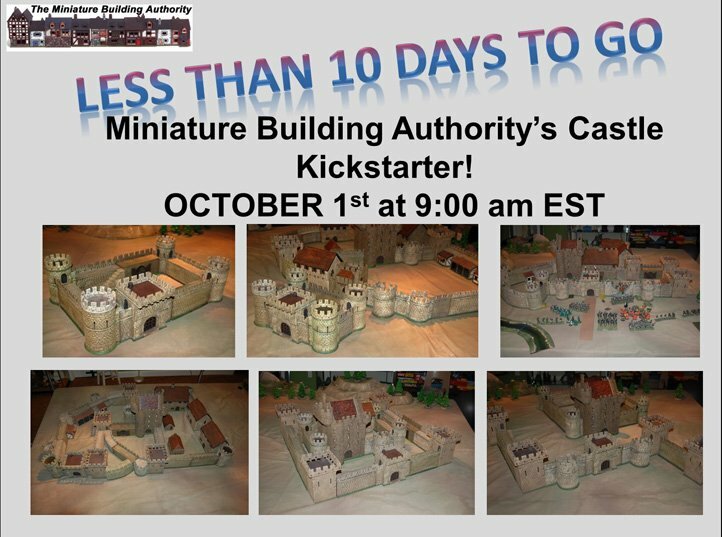 Less than 10 Days to the Castle Kickstarter!!!!! We are ready to go and just counting down the days. Here are some fun layouts we photographed for the various package deals that will be available through the kickstarter. Also, be early it pays. Each of the building and package deals will have a very limited number of early bird specials that will save you an additional 10%. Help us spread the word and take this to the next level. We have lots of exclusive kickstarter freebies to give out for this project. It all starts on October 1st at 9:00 Eastern Standard Time. Categories: Kick Starter, News | Tags: castle, kick starter, kickstarter | Permalink. Jim and I were testing out some new layouts today for the castle kickstarter. Wow, lot’s of great designs. The final set up was a battle seen. Here are some photos from today’s shoot. Don’t forget the kickstarter is starting in just a couple of weeks. Categories: Kick Starter, New Products, News | Tags: kickstarter, KS | Permalink. 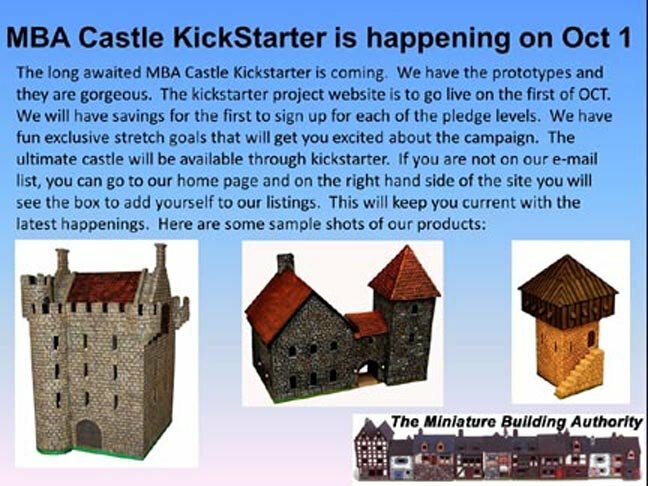 Castle KickStarter is happening on October 1, 2014!! Categories: Kick Starter, New Products, News | Tags: castle, kick starter, kickstarter | Permalink. Thank you to everyone who participated in the first week of the MBA End of Summer Sale. This week the sale continues, but we switched out the sale items. 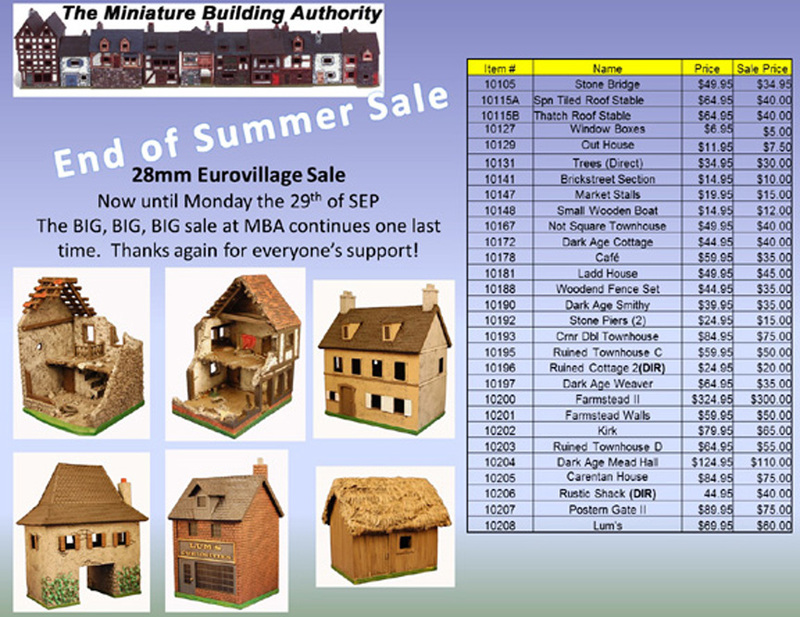 This week it is a BIG, BIG, BIG sale on 15mm items. This sale covers the European, Industrial and other buildings. Some items are in low supply so first come, first get the products. This sale will run from now until September 12th. As always, thank you all for your support.